It’s almost time for Seollal (Korean New Year) once again and sooner we would be seeing some of our favorite Kpop artists and Kdrama actors and actresses to send their greetings to their fans.. and so I thought I would post something about the Hanbok Fusion. If you are a Hallyu fan, you would probably know what a Hanbok is. It is the Korean traditional costumes. We see it all the time in the Saeguk (historical) dramas. The Hanbok is a very colorful dress that comes in different designs and colors. Most often these dresses are won for special occasions like wedding, birthdays and traditional stuff. However, that doesn’t stop the hanbok from becoming modernized. Thus I give you the Fusion Hanbok. Fusion Hanbok is like taking the traditional Hanbok and giving a new twist to it so it can be worn for other occasions like an office party, or a modern wedding, or at an awards show. You may have noticed some Kpop girl groups wear them before (like Secret). 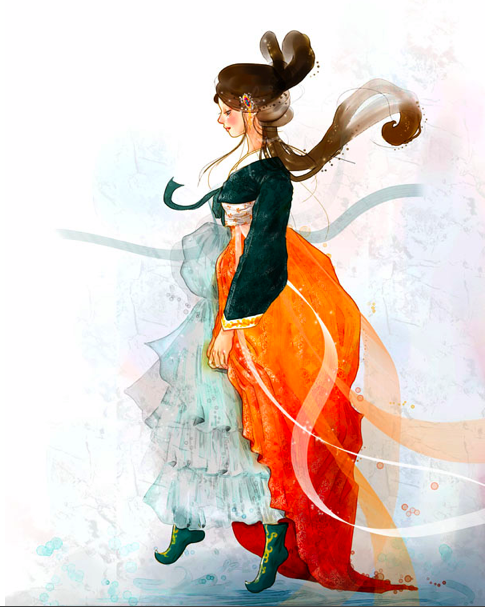 Some of the designs include having the hanbok style cut like a cocktail dress, and some have the same hanbok style as well as the length minus the sleeves. These style added a touch of the contemporary style. 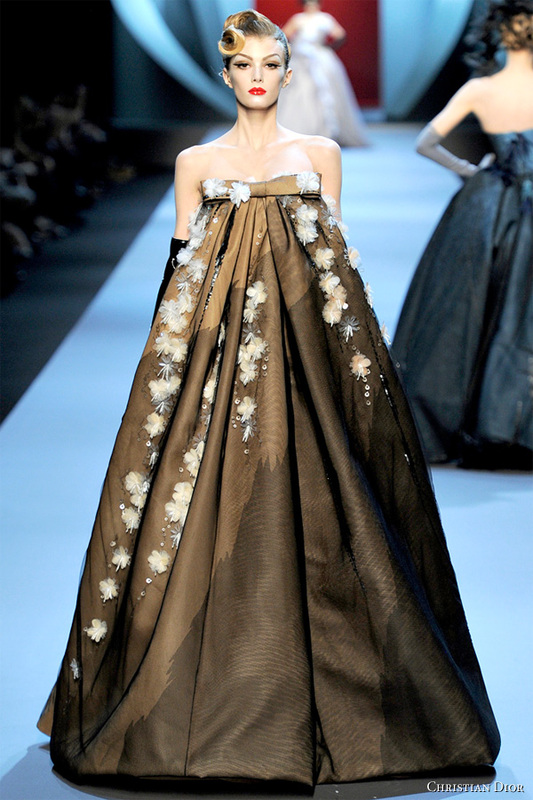 John Galiano‘s Hanbok inspired gown presented at the 2011 Christian Dior Couture Fashion Show — I LOVE IT!!!! I love the pastel colors in this modern Hanbok.. I would love to have one of this! How the Hanbok would look like in the 1920’s…. Now let’s not forget the Kpop stars who look good with Fusion Hanbok… these are the ones I like… oh and I loved the Hanbok’s Secret wore (picture on top).. especially Zinger’s! Zinger (Secret) – Love the Color!! Seungyeon (Kara) – I love love this.. it’s something you could wear to a party! They make hanbok.. but i’m not sure about the quality though. I haven’t ordered from them, but their designs are quite good, especially the cocktail styled hanboks.